Btw, the good lookin' Dwarf in the picture is Headchefbob on Arygos. Send him a hello via in-game email. Mention "Trader Wow" and he'll send you a gold piece or 2! 1700 gold in 8 hours sounds about right, especially if it can be done at 19 or 20. Thanks for the tips, G! Trader Wow's - Recent Posts! 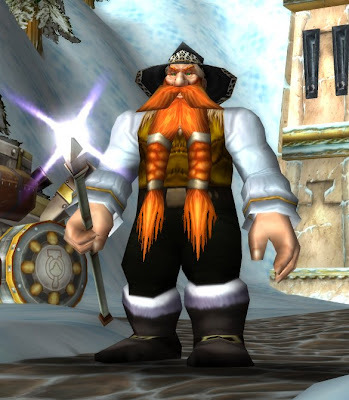 Trader Wow is devoted to showing you easy ways to build your toon's gold supply without farming, camping the Auction House, making stuff or buying gold online. Many players don't have the time or interest in doing any of those things. There is an easy alternative that WORKS! We'll share all those options here... in detail. We want you to have happier, wealthier toons so you can make the most of your limited game-time. All content Copyright © 2009 by Trader-Wow.com. All Rights Reserved. are Copyright © 2009Blizzard Entertainment.